Only 40 minutes from the international airport, this pristine and secure villa only estate is situated in the Savanne region, the most naturally beautiful part of the island, and forms part of the Domaine de Bel Ombre, a former sugar estate. When complete there will be 288 Mauritian plantation style villas (50% are already sold) set in 525 acres of lush, tropical landscaped grounds on a rolling hillside overlooking the Indian Ocean. The estate is built around the 18 hole championship Heritage Golf Club and 9 hole par 3 course, ranked by CNN in the Top 10 courses in Africa. An exciting new phase has just been launched at Villas Valriche. Fifteen West borders the west side of the estate along the picturesque 14th and 15th (hence Fifteen West) fair-ways, leading down towards the iconic C Beach Club. Sales Director Timo Geldenhuys comments - Prices for freehold villas at Fifteen West start at only $659,000, which is exceptional value for a freehold home with golf fairway frontage, pool and landscaped garden especially when for the same money at comparable 5 stars resorts you can only buy apartments and townhouses. The 32 individual plots vary in size and benefit from spectacular golf, sea and mountain views. There are 30 single and double storey villa configurations to choose from, each offering light and spacious accommodation ranging from two to six bedrooms, with a varied selection of interior finishes and furnishings to suit most individual tastes. ● 50% off villa rental rates to enable buyers to experience the Villas Valriche lifestyle before you buy (which is refunded if you purchase!). Mr. Geldenhuys adds - These are the last remaining golf frontage villas on the estate. Demand is expected to be strong so we would urge potential buyers to get in touch quickly. ● Numerous sporting, cultural and leisure activities for all ages. ● Membership of Heritage Golf Club, with its stunning championship golf course. ● Membership of the C Beach Club. ● Privileged access to our partner 5 stars hotels, Heritage Le Telfair and Heritage Awali. ● Residents Cards giving discounts of up to 20% at our partner hotels, shops, bars and restaurants. ● 11 restaurants and bars. ● Spas, fitness centres, tennis courts. ● Easy and safe commuting around the estate in your own golf buggy via a network of dedicated cart tracks. ● Access to the private Frederica Nature Reserve that borders the estate. ● Established Homeowners Association, managed by residents. ● Kids and Teenagers Clubs. A sub tropical paradise island, Mauritius has all the ingredients for a guaranteed delightful experience. It attracts one million tourists a year, almost as many as the population, and its beaches, luxury hotels, restaurants and friendly inhabitants are world renowned. Frequent flights from London take around 11 hours, with Emirates flying direct from Dubai. 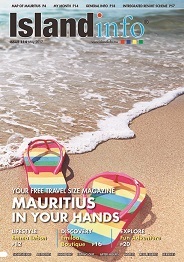 There has been increasing interest from Mauritian buyers, both expatriate and domicile. We are seeing more local buyers who are attracted by the competitive prices as well as the opportunity to own a property in the islands top residential resort, observes Mr Geldenhuys. We already have several native Mauritian villa owners who like the flexibility of owning a luxury holiday home that can be professionally rented out so that, in addition to capital growth, their villa running costs are covered and they make some extra income whilst enjoying the very best amenities on the island.